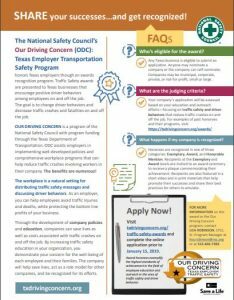 The National Safety Council and the Our Driving Concern Texas Employer Transportation Safety Program each year honor Texas employers through an awards recognition program. 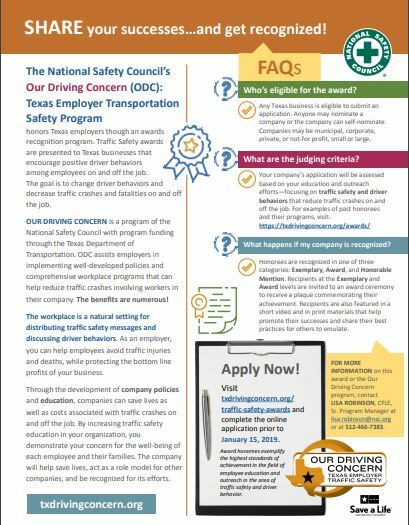 Traffic Safety awards are presented to Texas organizations that encourage positive driver behaviors among employees on and off the job. Complete the online application prior to Jan. 15, 2019.